Global soft drink brand, Coca-cola has always been the choice for many people at various places and for different purposes. 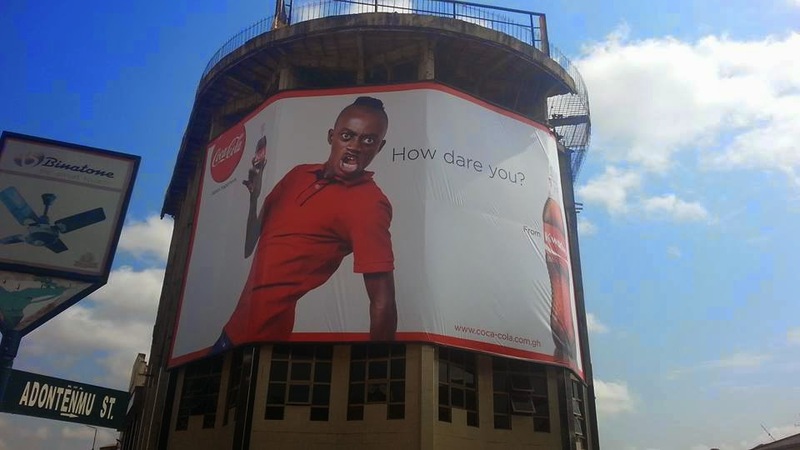 The manufacturers of the drink, Coca-cola Bottling Company Limited Ghana is embarking on yet another branding course and Ghanaian actor, Kwadwo Nkansah Lilwin has been spotted on one of the billboards in the Ashanti regional capital, Kumasi. COMMENTS: This could be the “Year of Contracts” for the “Girls Abr3” star after a similar advertising contract with telecommunication giants, MTN.